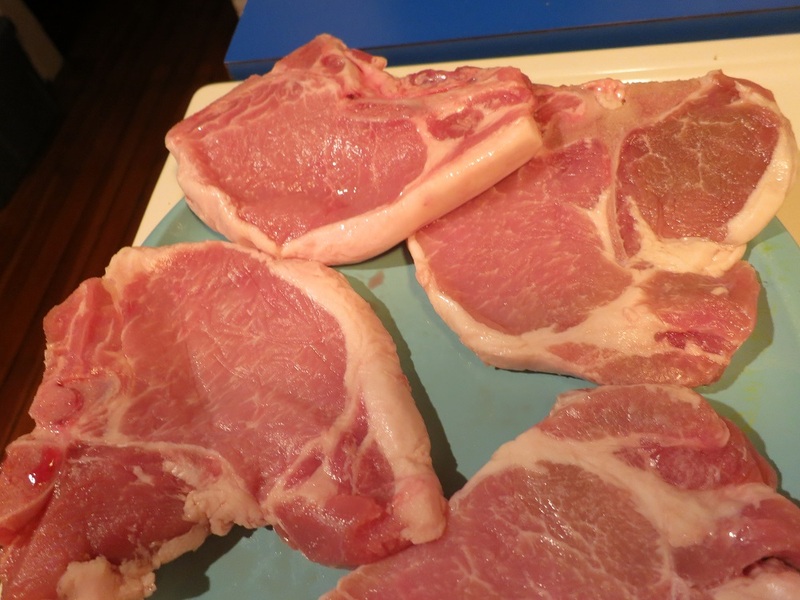 For whatever reason, probably related to meals I ate growing up, whenever I think of pork chops, I think of thick center cut ones. Ones that are thick enough to actual exhibit differing levels of doneness and can actually be cooked to a nice “medium.” It was rare, if ever, that I ate thinner cuts of pork. For whatever reason, to me they always seemed to be associated with an overcooked and dried out chop. So, when I came into a wondrous bounty of pork from local Davidson Farms, which included thinner cuts, I was left without any go-to recipes in which to use them. I knew I’d have to work on discovering how best to prepare them. And this being winter, I’d have to cook at least some of them without the benefit of my trusty grill. My first thought was that these chops would be perfect for frying. Being thin, you wouldn’t need as much oil to fry them, and it’d be easy to do in my shallow cast iron skillet. My second thought was: Tania eats way more healthfully than I do, so unless I wanted to fry up a mess of chops all for myself I’d have to 1) find at least some other ways to prepare them and 2) find someone to eat fried pork chops with me at a later date.